It’s the backbone of billions of lives. Warms up in the houses we live in. Helps us grow and prepare our food. Fuels the cars we drive and propels us through the soaring sky. It’s undoubtedly one of the most important commodities in the world. But what if it disappears? What will happen to our world? Our food? The comfortable lives that we live? It’ll be the beginning of our worst nightmare. Soon the UAE will run out of this once-abundant resource. Way back in 2007, Sir Richard Branson had made the following prophecy. For more than 150 years oil and gas exploration companies in the Middle East have been extracting oil and selling it across the globe. But soon the tables are about to turn and Middle East, especially the UAE need to figure out new ways to sustain in the modern-day world. The occasional wild camels on the road and the khaki sand dunes have been replaced by impressive skyscrapers and sportscars. 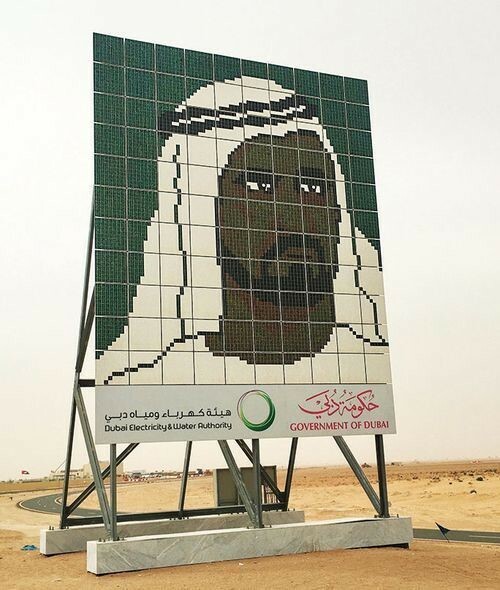 One of the first signs of technological development is a 20-foot Goliath billboard of Sheikh Mohammad Bin Rashid which is rendered in mosaic solar panels. On the south side of Dubai, a 200-megawatt Mohammed bin Rashid Al Maktoum Solar Park is situated in the clusters of the building. The solar park resembles a humongous mirror that stretches across 2 sq. miles melting into the horizon. The largest solar plant in the US can generate 550 MW, but Dubai’s solar park is about to overpower it by a mile. In the next few years, additional 5,000 MW is expected to map around Dubai with an investment of $14 billion. Once upon a time, Dubai was considered a city of superlatives: the gigantic fireworks display, the tallest building in the world, the busiest airport in the world. But as people evolve, the city of gold had taken a broad perspective on swapping the image with a city of startups and innovation. “We decided that we will go to the future—we will embrace the future without worry,” says Mohammad Al Gergawi, the architect of Dubai’s vision for the next half-century. UAE oil production is now at a halt. The city is more of a postcard for the youth & diversification for the old. Now, taxi drivers work all weekday and skydive on the weekends. The city of gold has moved-on in an era of fast progression. UAE education system is disrupting with AI-based instructors. The government of UAE is crunching the numbers to join the modern-day revolution. “We initiated our e-government services 16 years ago, and today, we are launching a phase that will rely on artificial intelligence. We are striving to adopt all tools and AI technologies that will boost government performance on all levels,” said Shaikh Mohammad. At the age of 27, Omar Bin Sultan Al Olama is appointed as UAE’s first Artificial Intelligence minister. This is a clear indication that UAE is maturing with modern-day technology. The sheikh’s are serious about venturing into the entrepreneurial fold to grow their assets. Out of 9.54 million total population, around 11.48% are Emiratis. The diversification allows expats to start a business in UAE, Dubai. With much awareness in the region, people now start their business by designing a website, developing a mobile app, and do the social media marketing. With the rise of the real estate business, people are now cashing-in the opportunity and starting a real estate business in Dubai which is one of the most happening city for tourists. If you’re in UAE or planning to settle in UAE you can look into some business ideas before you land in the country of enormous business opportunities. With so much diversification in the UAE, Dubai holds plans to invest around AED 1 billion in the next five years for a digital bank in the UAE. This will provide SMEs in UAE to create a state-of-the-art loan and deposit offerings. At present, students and business owners can stay in UAE only if they’re doing business in the UAE and all businesses outside of a special economic free zone require a local partner to own 51%. With the oil industry in the Middle East facing a decline, the government has eased restrictions on foreigners. Now expats can take 100% ownership of their business. Oil in the UAE is running out. With so much diversification there is a lot of opportunities for people to start a business in UAE and look into the alternative source of energy for their home and for their businesses. If you’re already living in UAE or willing to move on in UAE you need to equip yourself with the field of big data and AI. AI is the new brain-child for the coming generation in UAE. If you want to catch-up then the best way is to stay informed.